The Plaintiff’s filed a civil rights suit challenging the constitutionality of the Ordinance on the grounds that the Ordinance prohibited a substantial amount of constitutionally protected speech and was overbroad. Plaintiff’s challenge was a facial challenge to the Ordinance and not “as applied,” limiting the issues in this case to questions of law based upon an examination of the Ordinance. The trial court ruled that the Ordinance was constitutional and Plaintiff’s appealed to the Eastern District. In order to determine if the ordinance applied only to conduct and not speech, the Court focused on the meaning of two words in the Ordinance (“interfere” and “obstruct”) and the phrases “in any manner” and “in any manner whatsoever.” The court applied the ordinary dictionary meaning of “interfere” and “obstruct,” since these words were not defined, concluding that words “obstruct” and “interfere” contemplated physical action not ordinary speech (as distinguished from fighting words). The Court rejected an argument, by the Plaintiff’s, that the broader definition in Blacks Law Dictionary should be used because Blacks Law Dictionary is not an “ordinary” dictionary. (Tuck this one away for future reference.) The Plaintiffs argued that the modifying phrases “in any manner” and “in any manner whatsoever” in the Ordinance expanded the definition of the plain meaning of the words used in the Ordinance. The Eastern District concluded that these phrases did not broaden the Ordinance to cover things beyond physical conduct. These phrases did not expand the definition to include protected speech. Comment Howard: I know that it is early in the year but this opinion should go down as the most important local governmental law opinion by a Missouri court in 2018. The opinion provides an analytical framework to determine if ordinances like the St. Louis County ordinance prohibit free speech. The opinion is well written and comprehensive discussing and refuting allegations as to why the ordinance was unconstitutional. The beauty of the opinion is that it takes two United States Supreme Court decisions that are on the opposite side of the free speech question and provides a prism to examine the St. Louis County ordinance to determine where it fits within this framework. 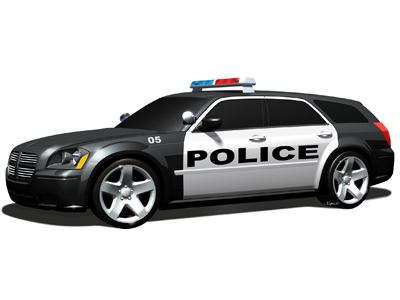 If you have an ordinance that is similar you may want to apply the same framework to your analysis. Congratulations to the St. Louis County attorneys for their outstanding work on this matter. Facts and Procedural Matters: Grand Juror Doe (“Doe”) was a member of the St. Louis County grand jury that declined to indict former police officer Darren Wilson for actions related to the shooting of Michael Brown. Doe wanted to “speak publicly about her experience on the grand jury” and “contribute to the current dialogue concerning race relations.” Therefore, she filed a declaratory judgment action seeking an exception to the secrecy obligations imposed by Missouri Statutes and law. Doe further alleged in her petition for a declaratory judgment that the statutory secrecy provisions and the oath of secrecy administered to her were a violation of the Free Speech Clause of the First Amendment because it chilled her from engaging in expressive activity. In addition, she alleged that Missouri laws, prohibiting grand jurors from discussing the grand jury proceedings were not applicable to her considering the unique circumstances of the Darin Wilson proceedings. Doe requested a declaratory judgment and injunctive relief to prevent McCulloch from enforcing Missouri’s laws regarding grand jury secrecy requirements and the release from her secrecy oath because of the Prosecutor’s disclosure of grand jury proceedings and the “unique circumstances of this case. The Prosecutor filed a motion to dismiss, which was granted by the circuit court that was appealed to the Eastern District. In State of Missouri v. Harris, the prosecutor made an endorsement of a witness the day before trial, which witness testified concerning the search of a canine dog from a laundromat, where the robbery took place, to a nearby neighborhood where the defendant lived. The officer, handling the canine dog, testified that the dog picked up the scent at the laundromat and went to a nearby neighborhood where the defendant lived. Defendant was convicted and appealed to the Eastern District contending that the endorsement of the witness the day before the trial was not timely and therefore the officer should not have been allowed to testify. The Defendant also argued that the testimony of the officer about the canine dog, tracking the scent from the laundromat to the area where the defendant lived, was inadmissible because it was highly prejudicial. The Eastern District determined that the testimony was admissible because the tracking, under the circumstances, went to the weight of the testimony and that the defendant had ample opportunity to argue the logical implications of the testimony, which made it less credible. 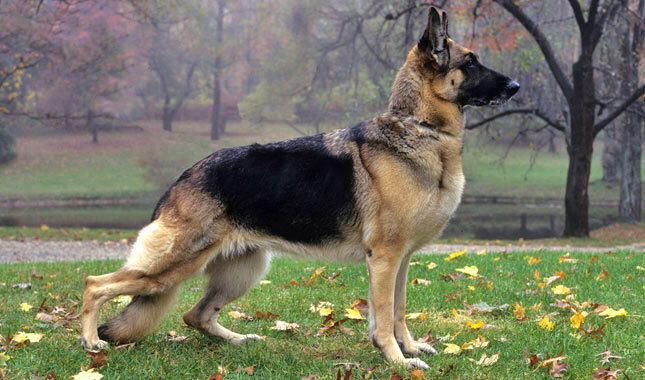 Another witness who had the same information about the tracking by the canine dog was disclosed thereby providing the defendant with an opportunity to depose the disclosed witness (which defendant declined to do). Sarandos vs. The Loop Trolley Transportation Development District, decided by the Eastern District, deals with whether or not the Plaintiff’s claims were barred by latches and whether or not the Missouri Transportation Development District Act, authorized construction of some of the improvements outside of the District boundaries. The question of laches is obviously a very fact intensive question while the question of whether or not the District had the authority to construct improvements outside the District boundaries is more of a question of law based on the facts in this case. 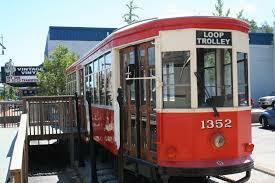 In 2007, pursuant to the Missouri Transportation Development District Act (Act), St. Louis City (St. Louis) and University City each passed and approved resolutions calling for the joint establishment of The Loop Trolley Transportation Development District (TDD) for the purpose of “funding, promoting, planning, designing, constructing, improving, maintaining, and operating” of a trolley-car system; and the construction of one or more turn around areas for vehicular traffic and/or rail system” (Project). In August 2007, University City filed a petition in St. Louis County Circuit Court (“Formation Petition”) to create a transportation development district under the Act, for the Project. The petition included a map illustrating the boundaries as required by the Act, including a general description of the Project, which stated that the “approximate location of the Project improvements will be along Delmar Boulevard between Kingsland Avenue and DeBaliviere Avenue and along DeBaliviere Avenue between Delmar Boulevard and Lindell Boulevard. The Project Description further “anticipated that the Project may also include” various activities and work “necessary or convenient” for the purpose of funding, promoting, planning, designing, constructing, improving, maintaining, and operating or assisting in the Project, such as the construction of one or more turn-around areas for the rail system, and other improvements located within or adjacent to Delmar Boulevard and DeBaliviere Avenue. Following the creation of the District in 2007, University City filed the Formation Petition authorizing a mail-in vote for a sales tax to fund the Project that was approved by the voters. In 2008, the court issued a Formation Judgment in which the District was established as a political subdivision in accordance with the Act authorizing the sales tax. The Formation Judgment contained a general description of the Project, an appropriate location for the project as well as authorizing the District to “also” construct improvements ‘necessary and convenient” for the proposed trolley-car system. In March of 2013, University City granted a special use permit to the Trolley Company to build and operate the trolley system. The use permit included a proposed route extending in front of the University City Library west of the District boundary at Kingsland Avenue. The Project has been discussed in at the community and public meetings since 2000. The District’s plans included Project improvements beyond the District boundaries on both ends of the route. Moreover, as early as 2004, plans for the Project contemplated extension of the system accordingly. More specifically, the final plans for the Project included an extension of the trolley-car route 300 feet, beyond the District’s boundaries on the eastern end of the line, to provide a connection to Forest Park, and an extension of 235 feet both beyond the District’s boundaries on the western end in order to provide a feasible terminus for the system. The final plans fell within the approximate Project location as defined in the Formation Judgment. In January 2015, contractors received notice to proceed with the construction of the Project, the construction commenced immediately thereafter. As of April 2016, implementation of the Project was substantially complete with construction costs totaling $46.96 million of the estimated $50,900,000. In October of 2013, the Plaintiffs filed a petition for declaratory and injunctive relief against the District in federal court raising federal constitutional claims as well as other issues, which was dismissed by the Eighth Circuit. In July 2015, the Plaintiff’s filed their petition for declaratory judgment and permanent injunction in state court alleging that the District lacked authority to build, maintain, and operate the Project beyond the boundaries of the District. In June of 2016, the District moved for summary judgment on the grounds of laches, which was granted in March 2017 because the Act and the Formation Petition and Judgment required only a description of the “approximate” location. The Eastern district noted that in doing so the legislature recognized the need for flexibility in designing and implementing a transportation project. The trial court determined that the project was located within the “approximate” location described in the Project Description in the Formation Petition and Formation Judgment and that the improvements beyond the District boundaries were authorized as additional activities as work “necessary” or “convenient” to the Project. 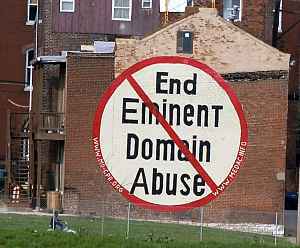 Plaintiff’s appealed to the Eastern District. Opinion: The Plaintiff’s first argued that the trial court erred in barring their claim under the doctrine of laches because the summary judgment record did not support such a finding. Second, they also argued that the trial court erred and misapplied the law in holding that the District could build and operate the Project beyond the District boundaries because neither the Act nor the Formation Judgment permitted such a deviation. Laches: The Eastern District reasoned that Plaintiff’s knew or could easily have ascertained the District’s plan to extend the trolley route beyond the District boundaries years before filing suit but instead unreasonably delayed in bringing this action. Laches requires that if a party with knowledge of facts, giving rise to its rights, unreasonably delays asserting them for excessive period of time to the other party’s legal detriment its claim may be barred by laches. In this case, as early as 2007 the City of St. Louis and University City adopted resolutions for the broad purpose of providing a trolley system along Belmar and DeBaliviere. The specific language included in both the Formation Petition and also the Formation Judgment allowed improvements beyond the District boundaries as necessary or convenient to implement the Project. There was ample evidence to show that the District was prejudiced by the Plaintiff’s unreasonable delay if the requested relief would be granted. Furthermore, in order to remove the areas outside of the District would incur an estimated $5 million in additional expenses, delay of the project, and have to take some additional 20 steps in order to get approval from participating agencies, thereby delaying the Project. Therefore, the court granted the Districts motion to dismiss the claim based on laches. Comment Howard: If you’re looking for a case on laches this is one for you. Since the opinion by the court did not cite any case law supporting building outside the district. I assume this may be a case of first impression, strongly grounded to the facts in this case. 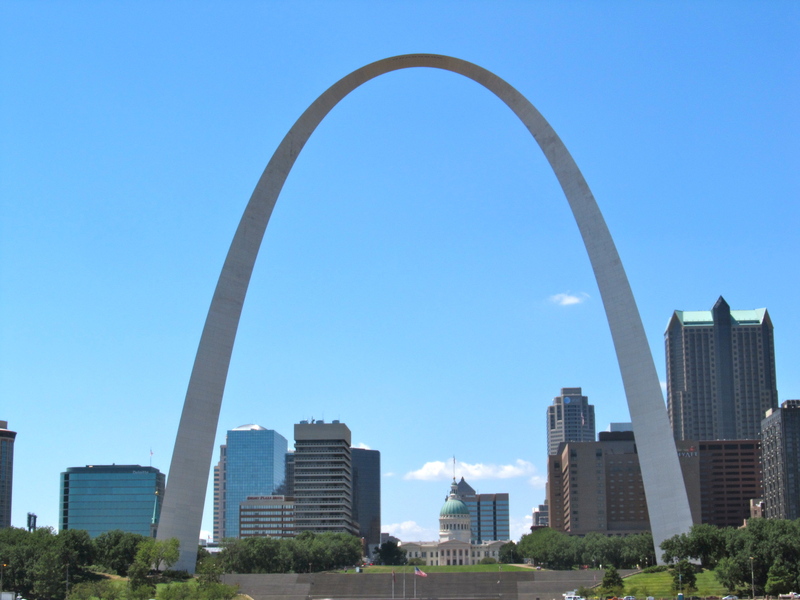 Facts And Procedural Issues: St. Louis Effort for AIDS sued in federal district court to enjoin the Missouri Department of Insurance from enforcing the Health Insurance Marketplace Innovation Act of 2013. The district court granted summary judgment to Effort for AIDS but denied attorney’s fees under 42 U.S.C. § 1988(b) because the preemption claims fell under the Preemption Clause of the United States Constitution, which is not the source of any federal rights, thereby making it a non-fee generating claim. Effort for AIDS appealed to the Eighth Circuit. Comment Howard: This case has an excellent discussion of when attorney’s fees for a non-fee generating case can be awarded. Factual And Procedural Background: The Department of Natural Resources issued an Operating Permit to Callaway Farrowing for the operation of a Class IB concentrated animal feeding operation (or “CAFO”) in Callaway County for a 10,000-sow breeding farm on 60 acres. Friends of Responsible Agriculture (Friends) filed an appeal of the Permit with the Administrative Hearing Commission (“AHC”). Next the AHC issued a decision in the Friends’ appeal, recommending that the Clean Water Commission approve the Permit. On June 3, 2015, the Friends filed a petition for writ of prohibition against the Department, the Commission, and Callaway Farrowing in the Circuit Court of Cole County seeking to disqualify five of the seven members of the Clean Water Commission from participating in the permit appeal. The petition alleged that the five challenged Commissioners had driven by and observed the site of the proposed CAFO, and thus possessed extra-record information relevant to the disposition of Callaway Farrowing’s permit application. Next, the circuit court issued its judgment prohibiting two Commissioners from participating in proceedings concerning Callaway Farrowing’s permit application, based on the court’s finding that they had in fact viewed the location of Callaway Farrowing’s proposed CAFO. The remaining five members of the Commission participated in a hearing on Callaway Farrowing’s permit application on October 5, 2016 with three of the five participating Commissioners voting in favor of granting Callaway Farrowing’s permit application, and two Commissioners voting against issuing the permit. The circuit court issued a preliminary order in mandamus to all Respondents, and the Respondents filed responses to the Friends’ petition. In their responses, the Respondents argued, among other things, that under § 1.050, RSMo., the affirmative votes of a majority of the Commission’s five participating members was sufficient to approve Callaway Farrowing’s permit application. The Respondents argued in the alternative that the “rule of necessity” should be invoked to allow the disqualified Commissioners to participate in deciding whether to grant Callaway Farrowing a permit. The court’s judgment held that, because the motion to approve Callaway Farrowing’s Permit did not win four affirmative votes, “there is no ‘final decision’ of the Clean Water Commission in effect regarding the Permit issued to Callaway Farrowing, LLC,” and as a result, “Relator has no adequate remedy at law under §§ 621.250 or 644.051, RSMo.” The court ordered the Commission to withdraw its Final Decision on Appeal, and announce at its next meeting that the motion to approve Callaway Farrowing’s permit application “failed because the motion did not receive four ‘Yes’ votes.” Callaway Farrowing’s and the AHC appealed the decision to the Western District. Opinion: The Western District concluded that Friends had an adequate remedy at law by appealing the administrative decision in accordance with the Administrative Hearing Commission Act. The court reasoned that the Commission’s decision was “final” because it plainly intended its Final Decision to constitute the “terminal, complete resolution” of the proceeding involving Callaway Farrowing’s permit application. The Commissions Final Decision was not “tentative, provisional, or contingent”; to the contrary, it specified that it would become effective on the date on which it was mailed to the parties. Comment Howard: I thought this case was really interesting because it raised so many issues that local government attorneys have toiled with over the years. This case looked like a slam-dunk winner for the Friends but as the readers of this newsletter well know you must appeal the administrative decision. Extraordinary remedies, like mandamus and injunctive relief, were not available because there was an adequate remedy at law by the direct appeal of the administrative decision. The simple remedy, suggested by the court, is to include in the administrative appeal allegations that the decision is not valid because by statute four votes of the commission were required. Other issues that were discussed, but not decided, included the counting of votes and the rule of necessity that have been bantered about for years on our list serve. I found that this case was very distressing because it seemed like a miscarriage of justice and the Commission received ill advice from their attorneys about the necessity of four votes. It seems clear to me that Section 644.663. (3) controls, which states: “All final orders or determinations or other final actions and by the commission shall be approved in writing by at least four members of the commission.” The legal advice provided to the Commission was that the order was valid because of Section 1.050 RSMo., which provides: “Words importing joint authority to three or more persons shall be construed as authority to a majority of the persons, unless otherwise declared in the law giving the authority.” In my opinion, it seemed like the AHC followed a completely bogus opinion to reach its conclusion that Section 1.050 RSMo., controlled over the very specific language Section 644.663. (3) RSMo. Clearly a miscarriage of justice. I think that the decision made by the Commission was void not voidable. 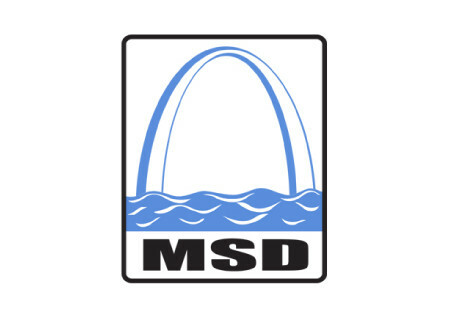 Facts and Procedural Matters: On June 26, 2014, Hoffmeier, a senior construction inspector with Metropolitan Sewer District (MSD), was driving a Ford F-150 MSD vehicle when he was involved in a three-car accident on a public road. His truck came in contact with a third car in front of it. When the police arrived, Hoffmeier was cited for not physically possessing a valid driver’s license and for following too closely. The driver of the car hit by Hoffmeier was pregnant and was hysterically crying after the accident. The police report indicated that the pregnant woman struck her stomach on the steering wheel and was taken from the scene by ambulance. The police report also indicated that the passenger of the third car involved was “experiencing tightness in her back” and “was seen by paramedics, but refused transportation.” Hoffmeier was not injured, and there was no disabling damage to any of the vehicles involved. That same day, Hoffmeier submitted to a drug test at MSD’s request. Hoffmeier’s urine tested positive for marijuana. After learning of the results, he requested testing of the split urine sample he previously provided, and that sample also tested positive for marijuana. Thereafter, he was terminated pursuant to MSD policy. Hoffmeier appealed his termination to the MSD Civil Commission (Commission). The Commission found that the preponderance of the credible evidence indicated that Hoffmeier violated MSD’s substance abuse policy because he was employed in a safety sensitive position and was involved in an accident on a public road involving a vehicle other than a commercial vehicle, which resulted in Hoffmeier receiving a citation for a moving traffic violation and an injury to another driver who immediately received medical treatment away from the scene of the accident. Hoffmeier appealed the decision of the Commission to the circuit court, which affirmed. Hoffmeier then appealed to the Eastern District.